£50 damage deposit taken with every booking and returned within 7 days after your stay, provided our caravan is looked after. 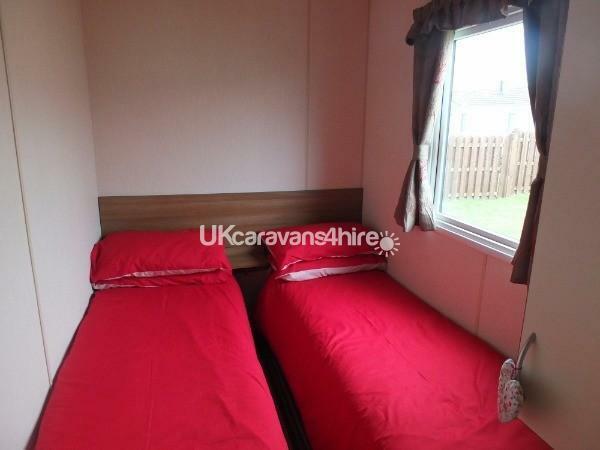 Come and enjoy our fully centrally heated and double glazed caravan for 10 months a year! 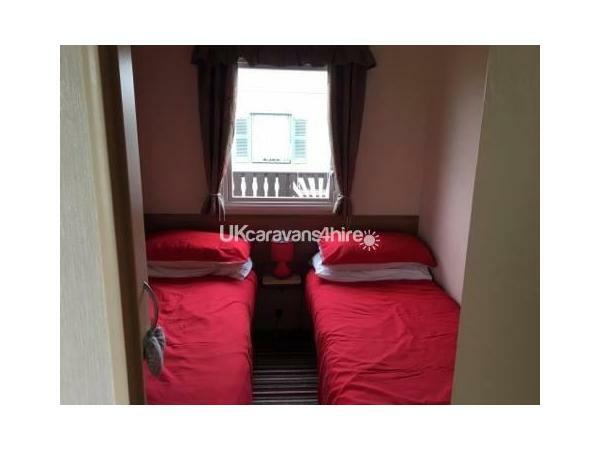 We take great pride in making our caravan a lovely, comfortable place to stay. 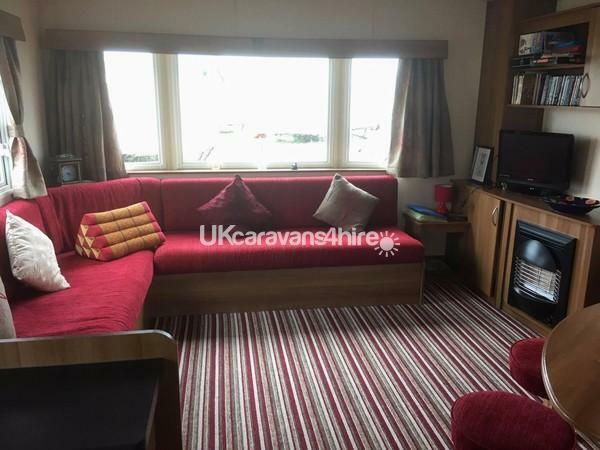 Last year we gave our lovely caravan a total make over, with new curtains,seating, bedding and carpets throughout. This year we have invested in new beds and mattresses to make sure you have a lovely comfortable sleep. Our family caravan is situated on the West Sands site of the Bunn Leisure Complex in Selsey, West Sussex. It is only a 10 minute walk from the Embassy Club and the beach; and there is a children's enclosed play area just a minute away. Ours is a lovely 12 foot extra wide van fully equipped with everything we could think of to make your holiday enjoyable. There are a selection of family games and DVDs to keep everyone entertained when the weather is not so good, or if you just fancy a cosy night in. 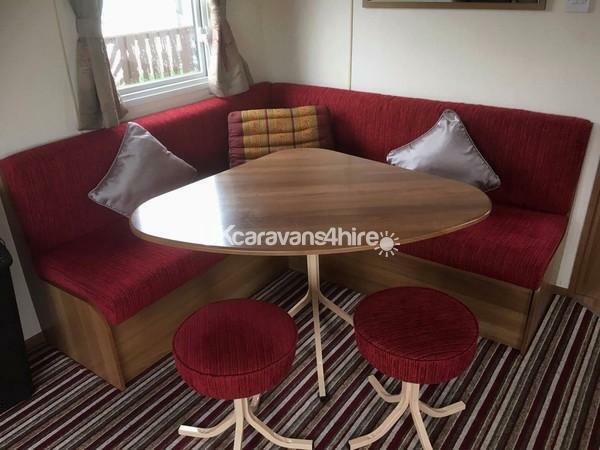 We have a picnic table and a bistro table that can be used to enjoy the sun and maybe have a BBQ on the large,secluded grassy area at the rear of the caravan. We also have several outdoor toys to keep the children happy while you relax! The kitchen is fully equipped with crockery, cutlery, pots, pans, casserole dishes etc.There is also a microwave, toaster, kettle, iron and ironing board. The lounge is large enough to seat 8 without feeling crowded and is light and spacious. There is also a gas fire to keep you warm and snug on colder nights. There are 3 bedrooms (1 double and 2 twin) and a double 'pull out' bed in the lounge. There is a good sized bathroom with toilet; wash basin; shower and also a smaller bathroom with a toilet and sink. Very handy for a large group! We are very happy to supply all bedding including for the pull out bed in the lounge and beds will be made up ready for your arrival. You will need to provide your own towels. Courtesy tea, coffee and sugar are provided to make your stay a little more comfortable. The Bunn Complex offers excellent entertainment with 3 clubs each offering a different variety of acts every evening. The mile long beach has undergone a 17 million pound refurbishment and is for the exclusive use of holidaymakers. Even if the British weather lets us down there is still plenty to do! There is a gorgeous indoor fun pool with a lazy river and slides, and also a separate traditional pool with swimming lanes for those who want to have a serious swim. There is a large indoor arcade and a kids club offers lots of fun things to do.There is even a teenage club for the slightly older ones. There is also a free courtesy bus that runs every 10 mins to transport between the amenities on all 3 sites. Bunn Leisure seems to offer something for everyone with plenty of time to relax and chill. Membership Passes can be purchased at the reception on arrival that enable full access to all the facilities. If you fancy exploring, try having a browse around the village of Selsey, or perhaps venture a little further afield to the beautiful city of Chichester with its fantastic variety of shops, cathedral and gallery. Maybe even take a narrow boat ride down the Chichester canal. If you would like to book with us we will require a £50 refundable deposit to cover any breakages. The full balance must be paid 4 weeks prior to your holiday start date. Additional Info: There are 3 different entertainment venues for you to choose from. There is also an outside swimming pool if you are brave enough. There is a bus that takes you to each site and also the use of the Bunni Express is completely free. 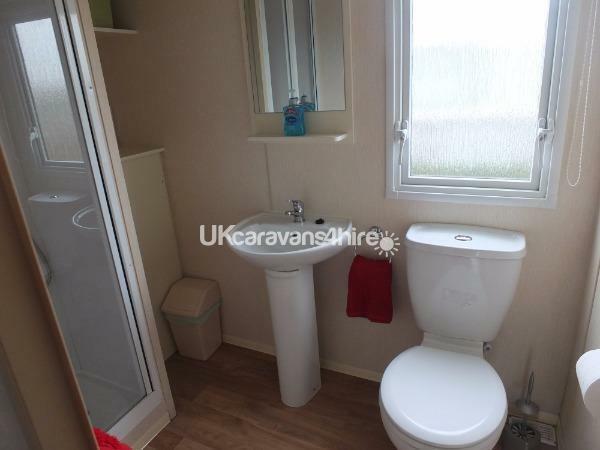 Lovely caravan, very clean. Brilliant location on site. Added extras, tea, coffee etc. Would book again. Fantastic stay at this caravan ,very clean , lots of little extras like tea, coffee & toilet roll & even bedding was done for us . Communication with the owners was great and they were very helpful . Will definitely be booking this caravan again. 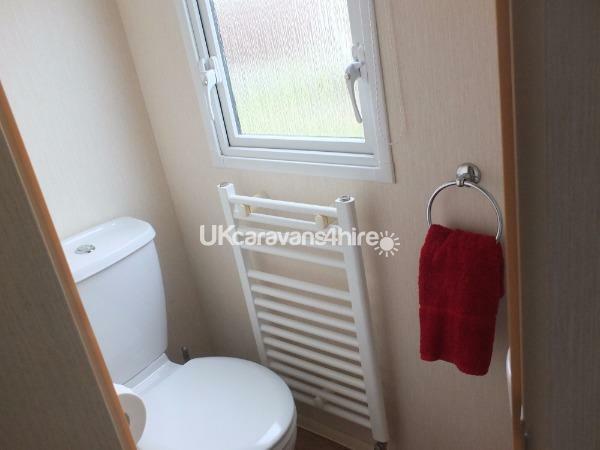 Lovely caravan with great added extras like soap, condiments and hand towels. Great position very near to play area and far enough from main complex should there be any noise late at night. Fab position backing onto fields so very secluded. 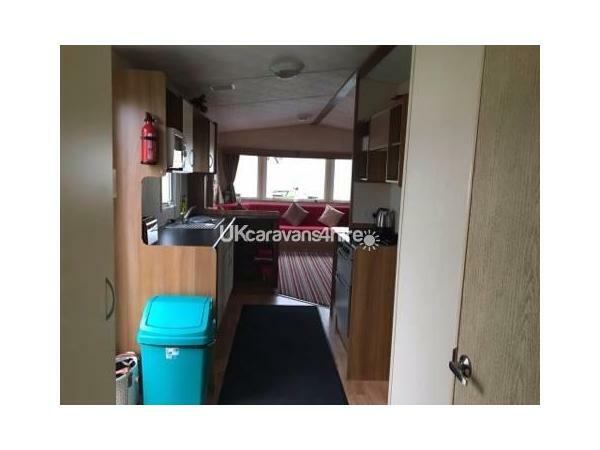 Caravan in a great condition, very clean. Thank you for a lovely holiday. 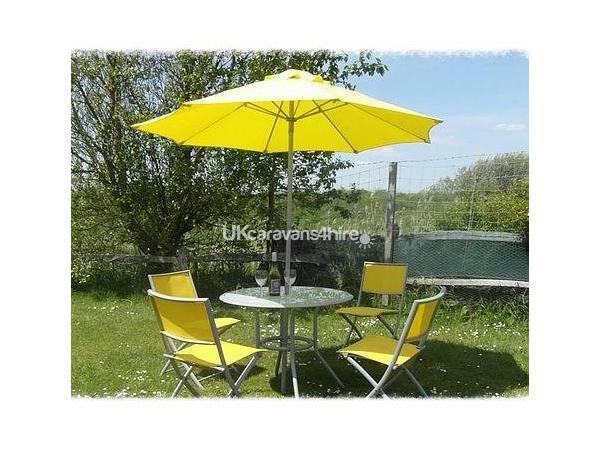 The caravan is well equipped for families with young children, very clean and a great location to the site facilities. 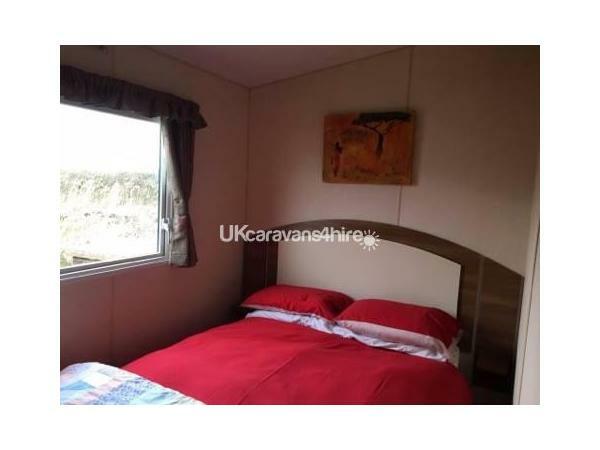 Great Size and very well kept Caravan. We were blessed with beautiful weather for our long weekend away which just added to the pleasant experience. The site facilities are great with plenty to do which is well complimented by the games and toys that are supplied with the caravan which enabled us to have some good quality family seaside fun. The 'van itself is ideally located on a well kept plot a short distance from the large Children's park and all the site amenities. As well as the aforementioned toys and games - the caravan comes 'ready to use' complete with all condiments, cutlery and crockery which is more than ideal if you are a large family like us and helps to keep baggage to a minimum. Thank you for a pleasant stay. My boys aged 5, 9 & 16 all were very reluctant to leave!! They loved the caravan and the whole Bunn Leisure experience. The caravan was everything I could have hoped for especially with 3 boys in tow (i.e family feel with games, DVDs etc). The facilities provided were extensive, right down to bedding, hand towels, toilet rolls & tea/coffee etc. I will definitely look at a return visit and the boys will ensure i don't forget too lol. Excellent value-for-money break. There were eight of us in total - four adults and four children aged 5-8. The caravan was spotless when we arrived, and smelt fresh and clean. The caravan is excellently situated for families, being one minute from a large park and play area - where the children took their bikes and spent their time playing football and on the equipment - and five mins' walk from the main entertainment complex and fabulous swimming pool. Yet where we were, it was quiet and relaxed, so we had bags of time to relax, eat and drink! We had loads of room - there's a double bedroom and two small twins bed rooms, and a pull-out bed to use in the living room. Gas and electricity included in the price, warm and cosy. Fabulous! 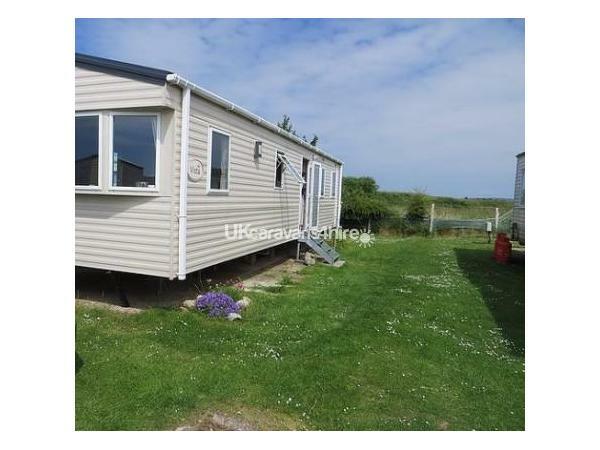 Fantastic family caravan with everything you need for a home from home holiday! Brilliant location as only a couple of minutes walk from the main club house.We had a brilliant holiday and will be coming back soon! Thank you! Had a fantastic break away with my sister her 3yr old and my 13yrs both loved the park an pool. Caravan is well stocked with everything you would need and more making like home,it is ideally located for the free train around the park. Kids can't wait to go back. Really lovely caravan, right next to the park which was great for the kids. Will definitely be back!! Glad you enjoyed your stay, hope you will come back soon! We had a fantastic week with our young children. The caravan was in impeccable order and featured lots of personal touches we really appreciated - tea, coffee, condiments and toilet roll plus an assortment of books, DVDs and games were provided. The bedding was also clean and warm. The caravan was well situated with a nice grassy area outside and it was only a two minute walk to a large park and play area. All in all it was a great place to stay for a short break.